Phoeniz AZ Hair Replacement Salon | Stylistic Inc. Although the goal of wearing a wig is to find a style that looks as natural and feels as comfortable as possible, caring for your human or synthetic hair wig is a bit different than caring for your natural hair. Learning the ins and outs of styling your wig can take a bit of time (and practice), but these four wig care mistakes are the most important things to avoid. Deciding on a wig style can be tricky, and the biggest mistake that you can make is to choose one that doesn’t look natural. Whether it is human or synthetic hair, a wig with a natural hairline in a modern cut is one of the best options to consider. For your first hair replacement piece, we recommend sticking with a length and color you are used to, experimenting more when you have a few different options to wear. 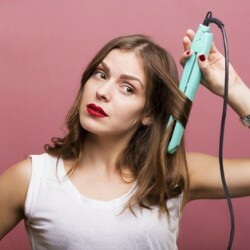 Once you know what you are doing, caring for your wig is a fairly simple process, but it does employ some tools that you wouldn’t otherwise have on hand. Investing in high-quality wig care supplies will help to maintain the quality and appearance of your hair replacement piece, saving you money down the line. Instead of focusing all your attention on your beautiful new wig, remember to provide some extra care for your natural hair and scalp. Regularly wash your hair to prevent product buildup and always allow it to dry thoroughly before putting your hair replacement piece on. No two individuals are alike, which means that the wig you choose will need a bit of special attention to look just right. Instead of just putting on a hair replacement piece that you ordered online, work with your stylist to create a customized look that enhances the shape and style of your wig to suit your face. 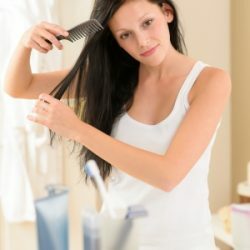 For individuals suffering from hair loss in the Phoenix, Arizona area Stylistics offers a full range of services including color, cut and styling. For more information and to schedule your appointment, please call the salon at 602-234-3381. Is a Topper Right for You?